Doreatha S. Tyson was born on July 25, 1944 to the late Wilson and Delma Scott in Savannah, GA. She was called to glory on Saturday, February 27, 2016. She was a devout Christian and a true believer in the power and presence of Jesus Christ, Son of our Holy Father. She accepted Christ as her personal savior early in life and was a faithful, active and dedicated member of the St. John Baptist Church until her death. At St. John, she was extremely active, having served as a member of the Board of Directors, St. John Housing and Development Corporation, initial member of the Board of Trustees and Secretary of Victory Theological Seminary Incorporated and Chairperson, Needs Assessment Committee; member of the Fortress Senior Saints and former chairperson of the Education Committee. She facilitated the development of mission statements for all church ministries. It was her vision creating the Institute of Excellence, having worked with the committee during its implementation. As a result, she received St. John’s Bridge Builder Award February, 2014. Doreatha attended public schools in Chatham County and graduated from Alfred Ely Beach High School in June, 1961. 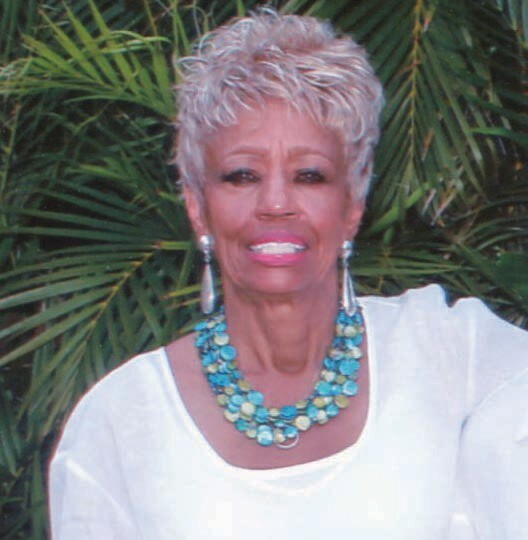 Doreatha had an avid quest for education and earned a Bachelor Degree in Business Education at Savannah State College (University) in 1965. Doreatha was united in holy matrimony to Willie Tyson on December 24, 1966. She was a devoted wife for almost 50 years prior to his death in July, 2015. She was the driving force motivating the family to be successful yet compassionate, ambitious yet humble, strong yet gentle, loving and generous. Willie and Doreatha were God fearing and dedicated church members, wonderful friends to each other and their many relatives and friends. Doreatha was blessed with loving and caring parents. A mother, who instilled faith in God, goodness in your deed and love for each other. A father, exemplifying strength and determination based on commitment to being right with God. This basis of living and faith enabled Doreatha to gravitate toward education as a profession. She gave over 40 years of her life helping children with promise, who needed a kind word, a smiling face and direction. Because she was not blessed with children, Doreatha found great happiness and pleasure assisting many, many children during her tenure at Savannah State. At Savannah State College she began her career with the Trio Program and Talent Search Programs. She eventually became the Executive Director of Education Talent Search Program, and was elected President of the Southeastern Association of Education Opportunity Programs Personnel. She developed a style of living always focused on giving, helping and sharing. Her personal accomplishments and achievements are numerous based on her love for children. Doreatha was Concerned, Caring, and Compassionate about all of her siblings, most of all she loved them unequivocally. A legacy of love is entrusted to her survivors: five sisters and one brother, Mrs. Eleanor Redmond, Mrs. Jacqueline Sanders, Mrs. Eunice Dingle (Henry), Dr. Delma Stell (Ralph), Pastor Wilson Scott Jr. (Claudette), Mrs. Cynthia Williams (Edward) and other relatives and friends.